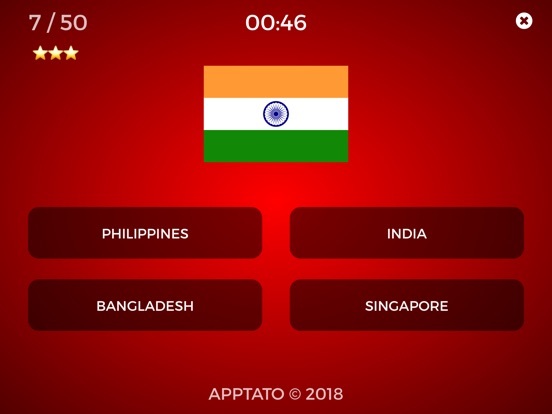 Can you name all 50 countries of Asia in 1 minutes or less? 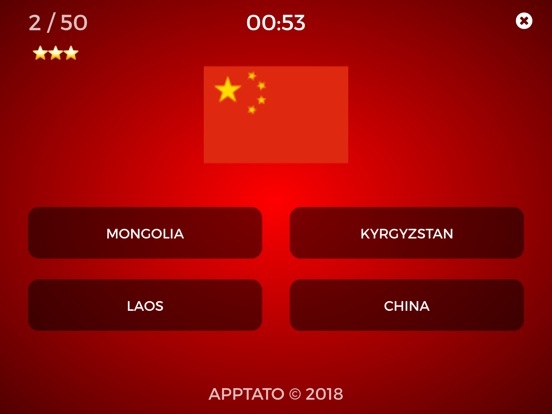 * A fast paced, multiple choice game ! 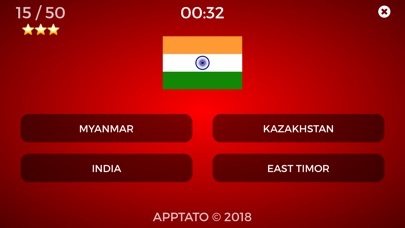 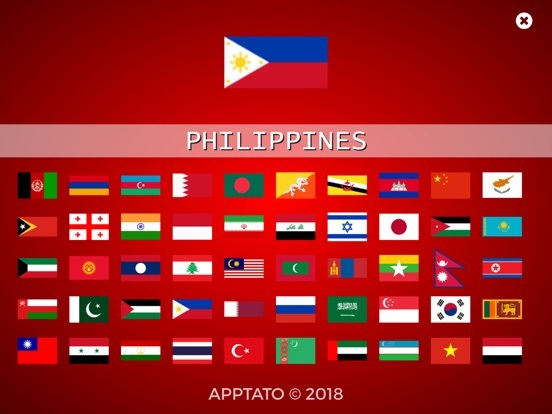 - Identify 50 Countries by their flags in 1 minute or less ! 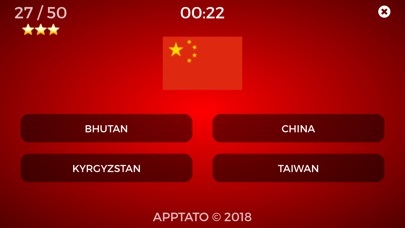 - You get a total of 3 chances to beat the game! 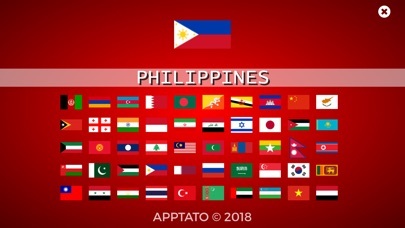 Tap as Fast as You Can !